RJD2 is Ramble John Krohn, a hip-hop producer. 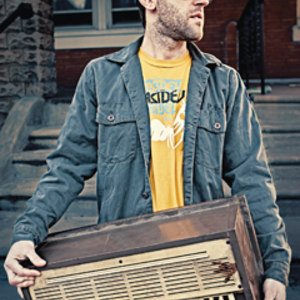 RJD2 was born in Eugene, Oregon, and raised in Columbus, Ohio. Until recently, he was part of the Definitive Jux label and produced tracks for many of its artists, as well as having a solo career. In 2006, RJ "ditched hip-hop" for the indie-rock label XL, releasing The Third Hand in March 2007. From 1998 to 1999, he saw success blossom as DJ/producer for the Columbus-based group the Megahertz, with two twelve-inch singles on Bobbito Garcia's legendary NY label, Fondle 'Em Records.